The theological and religious teachings of the Book of Mormon are important in three respects. First, its doctrine often agrees with traditional Christian beliefs in sometimes surprising ways and at other times undermines the Bible and traditional Christianity. When Joseph Smith dictated the Book of Mormon, his religious beliefs were rather typical of “restorationist” thinking within English-speaking Protestantism. Restorationists believed that the Protestant Reformation, though a good step, did not go far enough, and that what was needed was a fresh beginning, a return to primitive Christianity (in some cases with new apostles, miracles, and new revelations). Reflecting this restorationist perspective, the Book of Mormon castigates those Christians who think the Bible is all the scripture needed (1 Nephi 13-14) and rejects the notion that the age of miracles is past (e.g., Mormon 9). Restorationists were broadly anti-creedal, and some of them vigorously denied the doctrine of the Trinity and argued that Jesus was a perfect man but not deity. Other restorationists, however, did not espouse radically different doctrines of the nature of God, Christ, or the Trinity. The Book of Mormon falls into this latter stream of restorationist thought. It appears to affirm in very explicit terms a Trinitarian theology, asserting repeatedly that the Father, Son, and Holy Ghost are “one God” (2 Nephi 31:21; Mormon 7:7). This language is also found in the Testimony of the Three Witnesses and in one of Joseph’s earliest revelations (D&C 20:28). Some Book of Mormon statements even seem to err on the side of collapsing the personal distinctions within the Trinity, specifically several statements identifying Jesus as both the Father and the Son (Mosiah 15:1-5; Mormon 9:12; Ether 3:14). The Book of Mormon also explicitly teaches that traditional understanding of the attributes of God. For example, it teaches that God has always and eternally been God: “For I know that God is not a partial God, neither a changeable being; but he is unchangeable from all eternity to all eternity” (Moroni 8:18; see also 7:22; Mosiah 3:5; Alma 13:7; and cf. D&C 20:17). There are distinctive elements of LDS theology that appeared for the first time in the Book of Mormon. These include, perhaps most notably, the idea that Adam and Eve’s transgression was a good and necessary thing that made it possible for them to have children and experience the full joy God intended (see especially 2 Nephi 2:22-25). In later Mormon theology this idea is taken even further by the notion that human beings existed in heaven before the earth was made and were sent here for the purpose of testing (Abraham 3:21-28). Confusion about what the Bible teaches is the result of many plain and precious things being removed from the Bible, resulting in widespread apostasy in Christianity (1 Nephi 13-14). Everyone must be baptized to be saved (2 Nephi 9:23-24). People before the coming of Christ were also required to be baptized (2 Ne. 31:4-12; Mosiah 18:10-17; 26:4, 22; etc.). There should be no paid clergy (2 Ne. 26:29-31; Mosiah 27:5; Alma 30:32-35). The Father, Son, and Holy Ghost are one God (2 Nephi 31:21; Mormon 7:7). Wearing “costly apparel” is a dangerous indulgence of pride (Jacob 2:13; Alma 1:6, etc.). The doctrine that everyone will be saved (universalism) is false (e.g., Alma 1:4). Skeptical atheists attack the Christian faith (Alma 30). The (Calvinist) doctrine of election is bad (Alma 31:15-18, 24-25). God revealed the gospel in ancient times in both hemispheres, even sending Jesus to the Nephites to preach the gospel to them (3 Nephi 11-27). A church should not be known by the name of any man except Christ (3 Ne. 27:7-8). There are many gods, all associated with nature (maize, sun, earth, fire/lightning, rain, etc.). The gods made man from maize after experiments produced monkeys and other creatures. These gods were worshiped throughout ancient history using images or idols. Ritual bloodletting, human sacrifice, and cannibalism were normal, widespread practices. Quetzalcoatl was a feathered serpent deity associated with rain and fertility worshiped about a thousand years or more before the time of Christ. This evidence shows beyond any reasonable doubt that the Book of Mormon is a nineteenth-century book. 1. Quoted in the LDS curriculum manual Teachings of Presidents of the Church: Joseph Smith (Salt Lake City: The Church of Jesus Christ of Latter-day Saints, 2007), 41–42. 2. 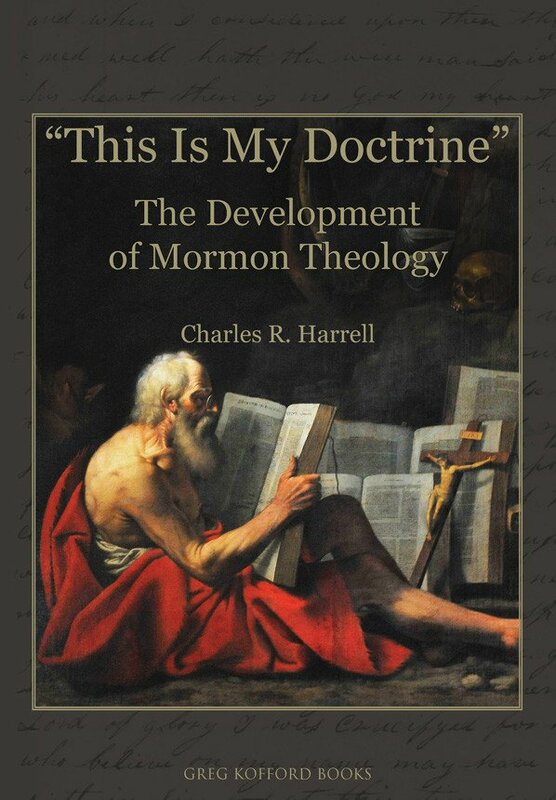 See further Robert M. Bowman, Jr., “The Mormon God Has Not Always Been God,” in 3 parts (Cedar Springs: Institute for Religious Research, 2013).